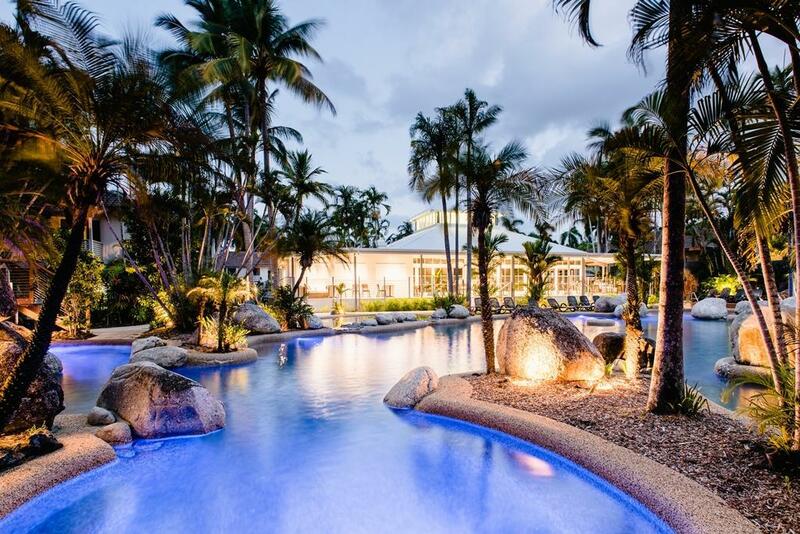 عندما تزور هذه المدينة رائعة الجمال، ستشعر أنك في بيتك في Reef Resort Port Douglas by Rydges الذي يقدم لك إقامة متميزة و خدمات عظيمة. يسهل الوصول إلى هذا الفندق ذو 4 نجوم من المطار، فهو يبعد عنه مسافة 60. Km فقط. سوف يعشق النزلاء موقع هذا الفندق، فهو قريب من أهم المعالم السياحية في المدينة . 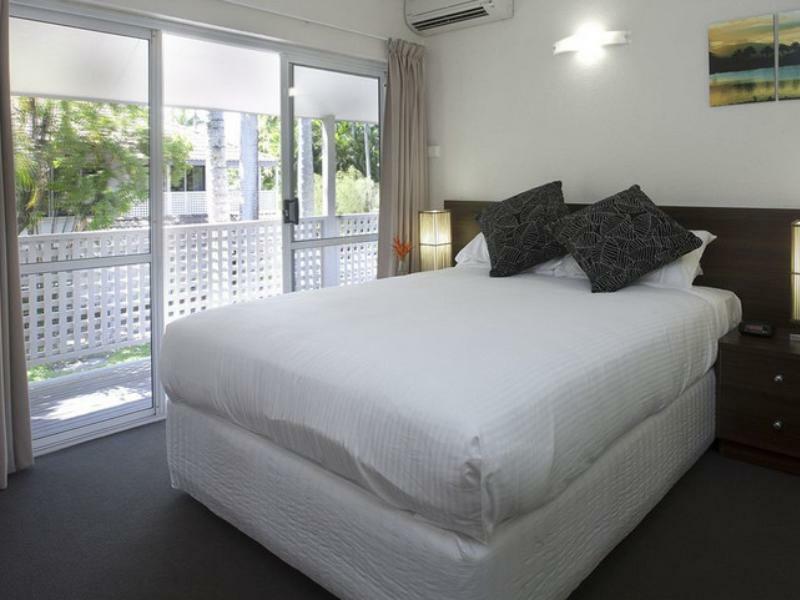 إن الخدمات التي يقدمها Reef Resort Port Douglas by Rydges تضمن للنزلاء إقامة مريحة. يمكن لضيوف الفندق الاستمتاع بالميزات التالية على أرض الفندق: تسجيل وصول/خروج سريع, تخزين الأمتعة, واي فاي في المناطق العامة, صف السيارات, التوصيل من وإلى المطار. يمكن للنزلاء الاختيار من ضمن مجموعة من الغرف المصممة بعناية لتعكس جواً من الراحة، والتي يتجاوز عددها 128. يمكنك الاستمتاع بالأجواء المريحة التي تقدمها مركز للياقة البدنية, حمام سباحة خارجي, مسبح (للأطفال), ملعب تنس, حديقة طوال النهار. إن Reef Resort Port Douglas by Rydges هو خيار ذكي بالنسبة للمسافرين، فهو يوفر إقامة هادئة ومناسبة للاسترخاء. A few of us booked a couple of apartments. Both apartments were set up the same. Was great having 2 bathrooms, though ours was extremely outdated with horrible mismatched tiles n grotty looking tub. Our friends bathroom had been updated so maybe they're gradually getting them done? We prepaid breakfast thinking we were getting a good deal but it was only continental buffet (not eggs or bacon etc.) So we upgraded 1 morning but it wasn't all you can eat as the chef made it to order.. Would've liked to been able to help ourselves as we like different things. Overall was lovely place though. Conveniently located, great pool (though wish they'd open later at night) same with the bar. Happy hour was great. Rooms perfect for a family with two bedrooms, laundry and kitchen. Great pool area and bar/restaurant with well priced meals. Helpful staff. Also only a short walk to beach or short driven into town. The staff were amazing! So helpful & friendly! The facilites were fantastic we would definitely come and stay again. The only suggestion would to have better TV reception. Desperately in need of re paint of all villas. Look so run down and dirty. Continental breakfast needs more choices. Pool is lovely. The Agoda website said there was internet available. However, upon check in we were told wifi was only available in the reception/dining area and LAN at the villa. This is certainly not helpful if you only bring your smart phone. At the villa we discovered that the LAN internet had been knocked out by a recent storm. So essentially we had only internet available in the reception area which closes at 9pm and it was a 5 min walk. We told reception and they mentioned this had been communicated to Agoda but this was not indicated on the booking page. If it had, we would NOT have booked the villa. That being said, the staff at the Reef Resort were very accommodating and gave us free upgraded breakfast. Also, they gave us a free bottle of wine when they could not find a corkscrew to open our own bottle. A big thank you Allen and Susie staff at Reef Resort. Excellent customer service! [BEWARE IF TRAVELING WITH SMALL CHILDREN]Rooms have lattice balustrade designs which make it extremely hard with toddlers as you can't take your eye off them for one second! The villa doors also do not lock securely one turn of the knob and button is popped door is wide open. The breakfast included DOES NOT mean continental, people wanting to eat hot food will incur an additional fee which is most dissatisfying when your bacon looks and tastes like an old boot. There was no mention of the facilities for children being closed which was an extreme disappointment when as a mother you book on the basis you can entertain your children. There is no wifi within the rooms and extremely poor phone service. The cherry on top was having to pay $2 per towel for the pool, I mean what 😳 This booking was very regretful! 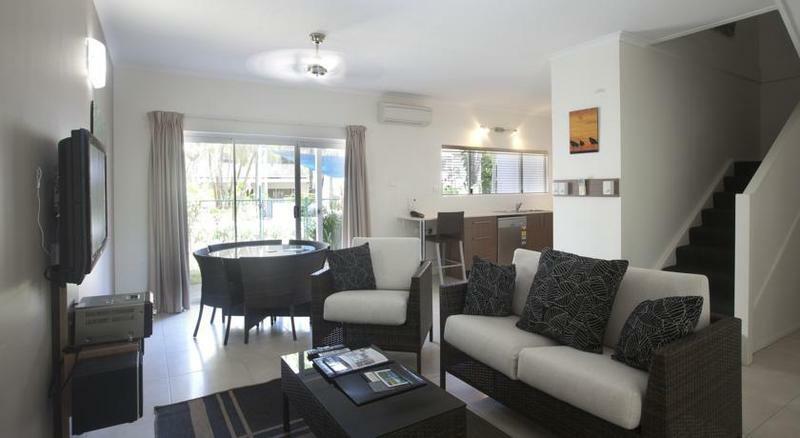 Very spacious double bedrooms in beautiful tropical gardens. Good full kitchen and full size fridge. Not quite in town, but the extra space is worth the very short drive. I was in an unrenovated apartment and whilst not modern or flashy, it was clean, spacious and functional. The inclusion of washing up liquid in the kitchen was appreciated as we didn't use enough dishes to warrant putting the dishwasher on and wasting water. Breakfast was a nice inclusion which not many resorts offer these days. Usual fare, decent standard. Great pool. Rooms are very old and outdated for the price, spiders in bathrooms. We booked for 4 nights, stayed 1 night and left. When we told staff we were leaving early, they just told us to leave the keys on the kitchen bench. We weren't even asked why we were leaving 3 days early! Great value for money for families. It includes everything you need in the kitchen and also complimentary breakfast. The pool is also a great place to have some fun! The only downside is it's far from the main street but its no problem if you have a car. The main reception was being upgraded, so we had to have breakfast next door. Should have told us before we arrived or given a discount. Place is looking a bit run down, but it was cheap and the main pool was good. Breakfast offered very poor bread with jam and coffee in a very sober Environment so bad that we did only used it for the first day never thereafter. Location away from everything deoending on shutle service With oprrating crooks let you pay for 7 days unlimited service only receive for 4 days the service the provider just not contactable and disappears. Alltogether never ever again,! A good family friendly resort with family friendly villas. We had breakfast included but was a little disappointed with its lack of variety by the 3rd day. The staff were friendly and helpful. The pool facilities were great with plenty of quiet spots. A great resort when travelling with children. Nice family resort with entertainment for kids. Booked a 2 and 3 bedrrom villas which slept 7 adults comfortably. Great value and close to the golf. Shuttle bus every 15 minutes into town was a bonus. Great option for families and groups.